This awesome pillow is so fun and perfect to add some coastal feel to your home! 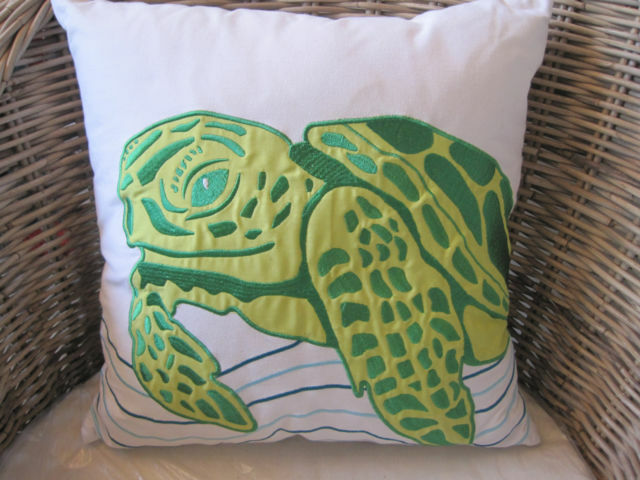 It is a square white pillow with a lime and dark green sea turtle on it. It also has light and dark turquoise curved lines that make it look like the turtle is swimming through the water! It measures 16 1/2 x 16 1/2 square. This pillow is a wonderful gift for anyone who loves turtles or the beach!